Perhaps the biggest mistake we see homeowners make is the ‘piecemeal’ approach to landscaping — the “DIY” method where various contractors will be hired to try to complete an extensive landscape project and proceed without a plan. They’ll start to clear areas, some masonry will be done, the wrong mix of plants put in, etc., resulting in a hodgepodge of plantings and hardscaping that gives the property a disorganized feel. 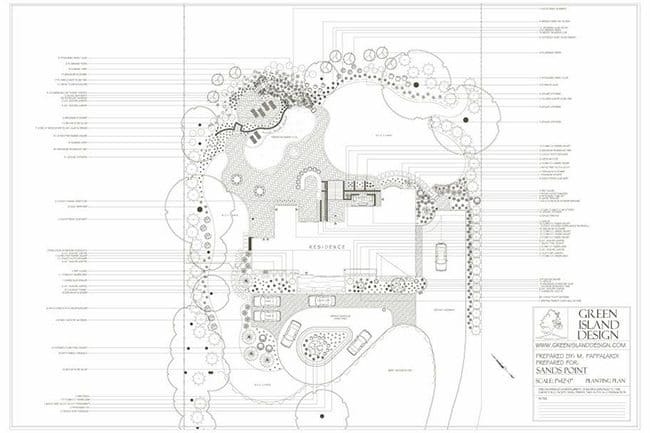 A professionally prepared, custom Landscape Design planned within a pre-established budget and implemented by a full-service design-build firm like Green Island Design leads to a polished look and an exceptionally beautiful property that appears complete.